Your fuel injection system plays a key role in having your engine run both smoothly and efficiently. This system moves fuel from the fuel tank to the engine, where the fuel combusts to create the energy that powers the engine. Over time, deposits from the fuel collect in your vehicle’s fuel system. This can cause your vehicle to perform poorly and impact your fuel economy, which may mean you need to visit a Certified Service Expert at Kindersley Mainline to service your fuel injection system or repair your fuel tank. Chugging or sputtering while you’re driving or idling. We offer comprehensive maintenance and repair services for your vehicle’s fuel injection system. 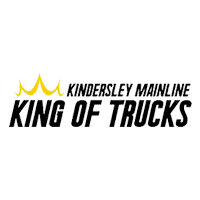 Kindersley Mainline’s Certified Service Experts will help to improve your vehicle’s fuel efficiency and engine performance by removing deposit build-up from the combustion chamber, throttle body, plenum, air-intake system, fuel injectors, and valves.